Mikuni has always been quite good and reliable along the years since it was still Inagiku. And of course, my good friend Chef Eric continued to hold the helm at the Teppanyaki section. But with the new Executive Chef Moon Kyung Soo, the a la carte selection has improved as well. Hiyashi tomato. Kumamoto tomato, onion, soy sauce. 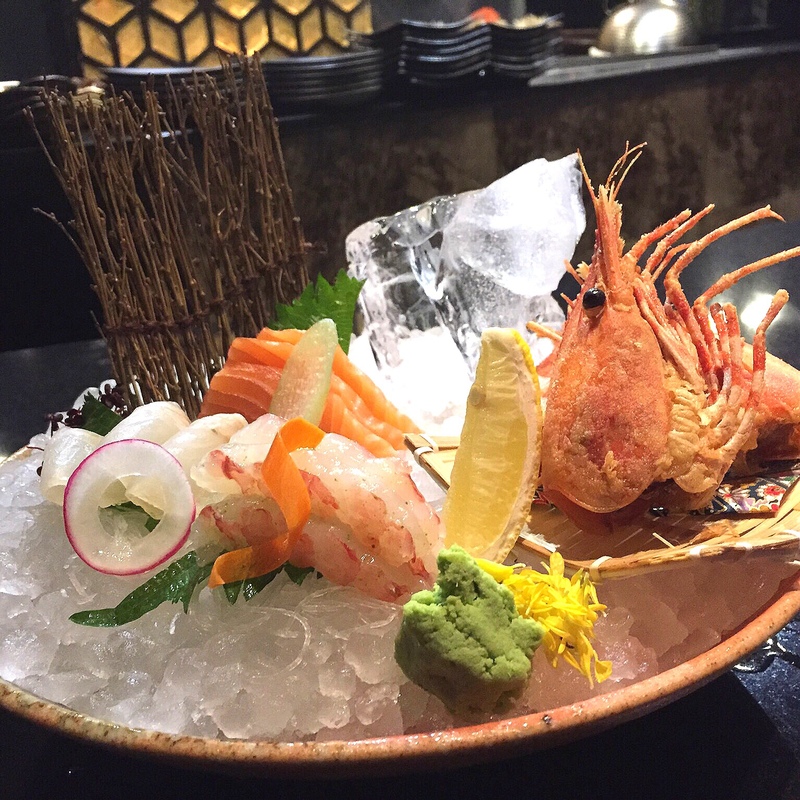 Ordered these a la carte items in additional to the Mikuni Teppanyaki set. 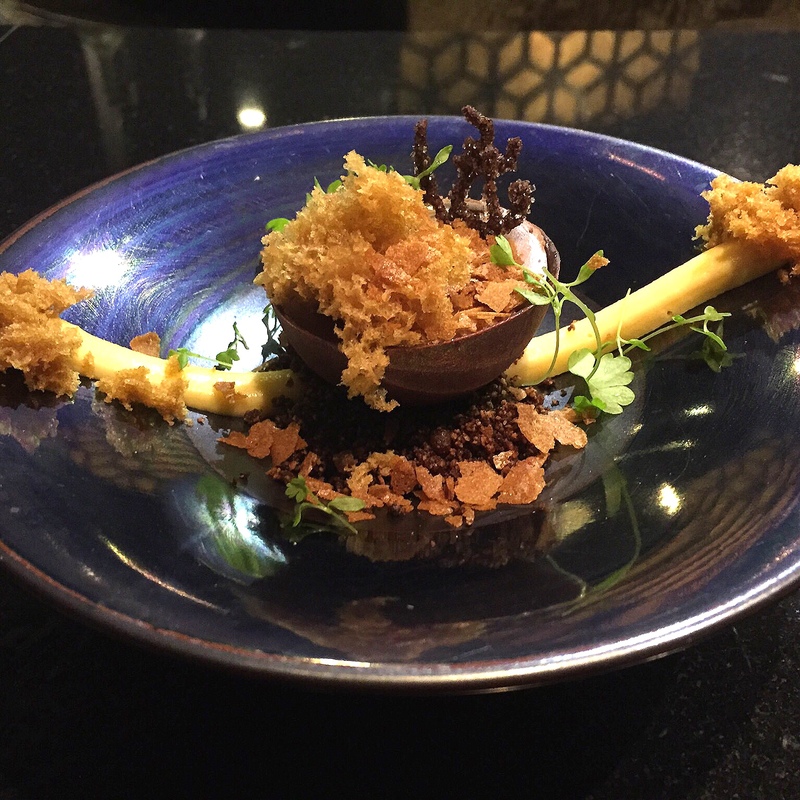 The Korean executive chef was quite creative in his use of ingredients and a clear departure from traditional Japanese cuisine. 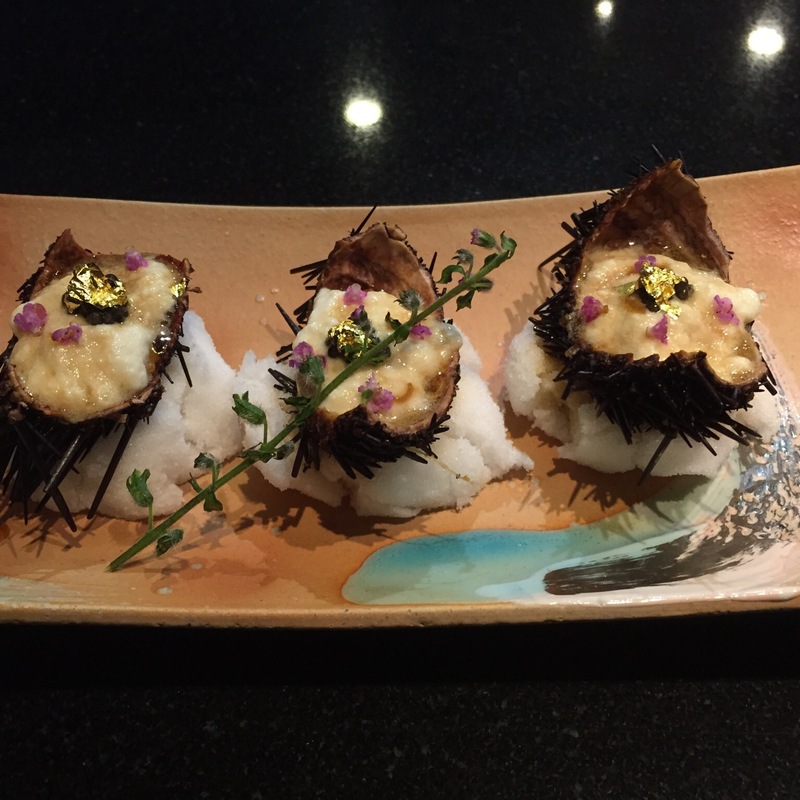 Truffle sea urchin tofu. 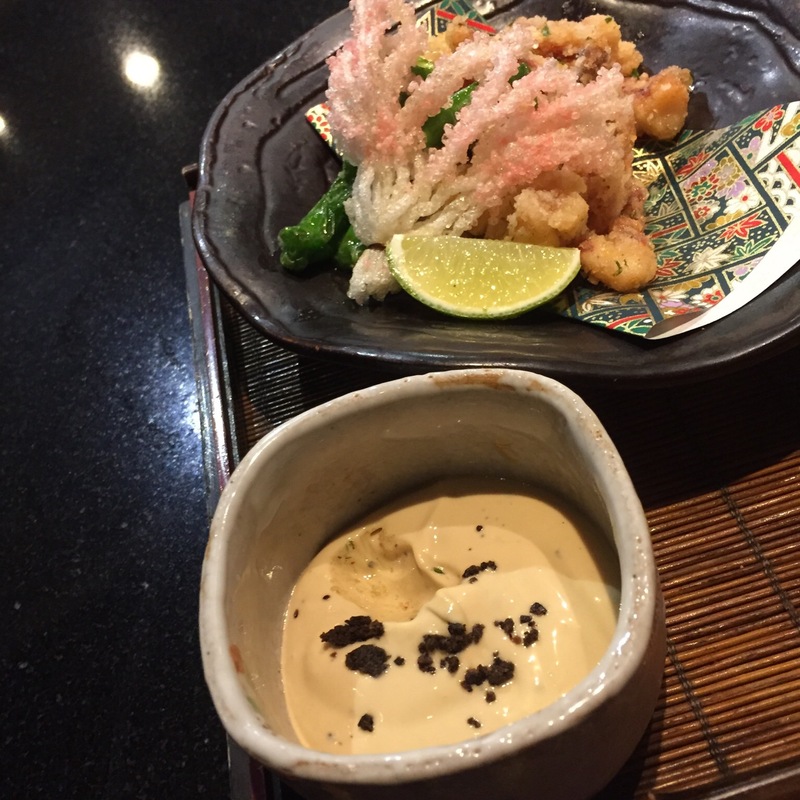 Bean curd was mixed with truffle and served on Japanese yam paste with uni topping and caviar. Fantastic in presentation and mix of ingredients. Simple enough to try at home. Hiyashi tomato. Kumamoto tomato, onion, soy sauce. I guessed it was good. I didn’t even got the chance to taste it. 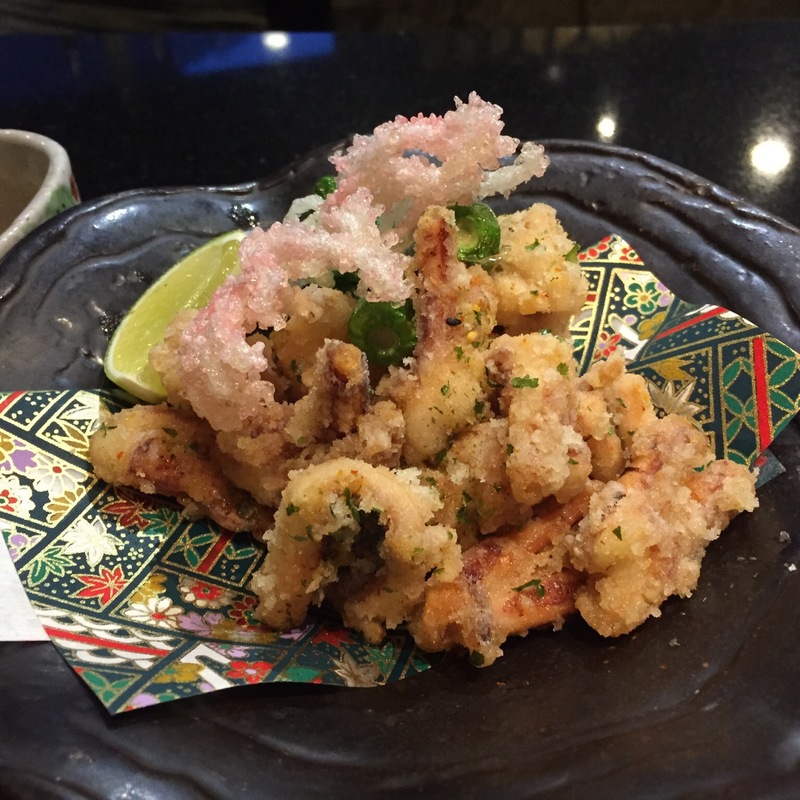 Calamari kariage. The mayo with truffle was the highlight. 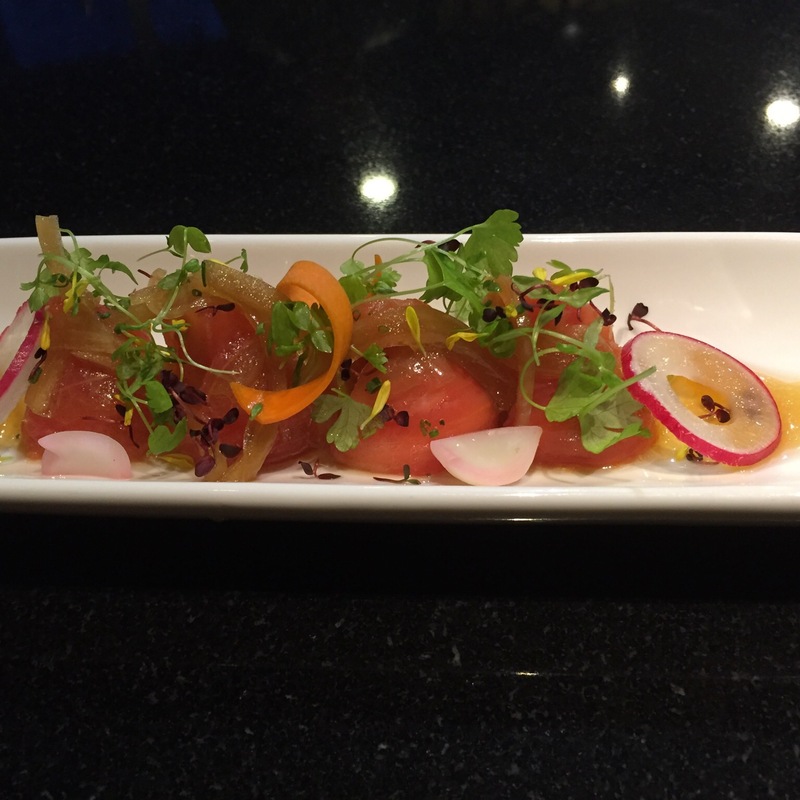 Sashimi – botanebi, salmon, flounder. Just as expected in a Japanese of this calibre. At $78 for 3 items was a bit steep. Yaki onigiri. 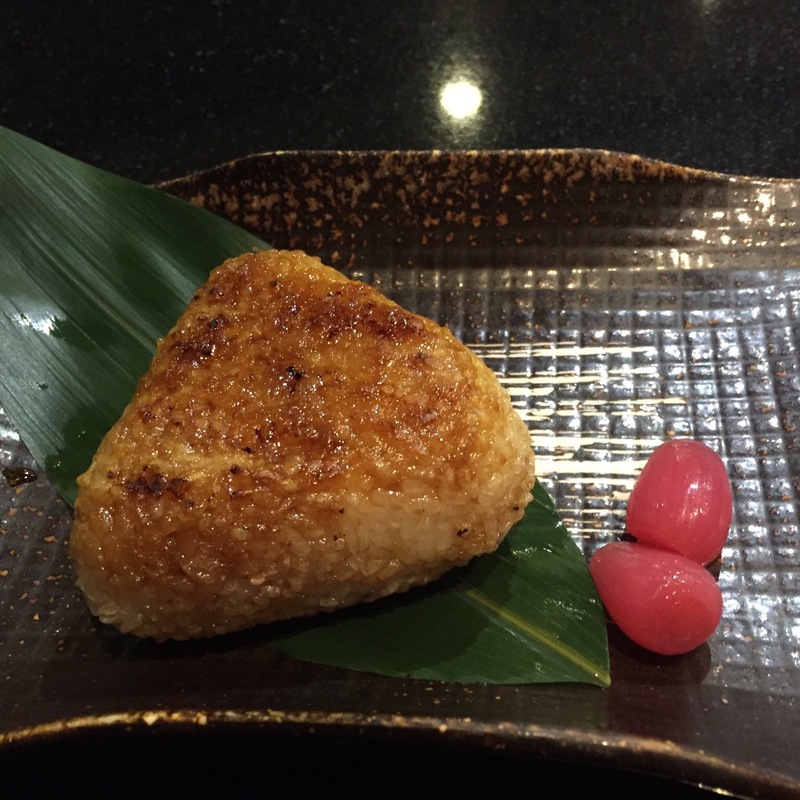 Rice ball with savory filling grilled with soy sauce. Not crispy enough. Robotayaki King Crabs. 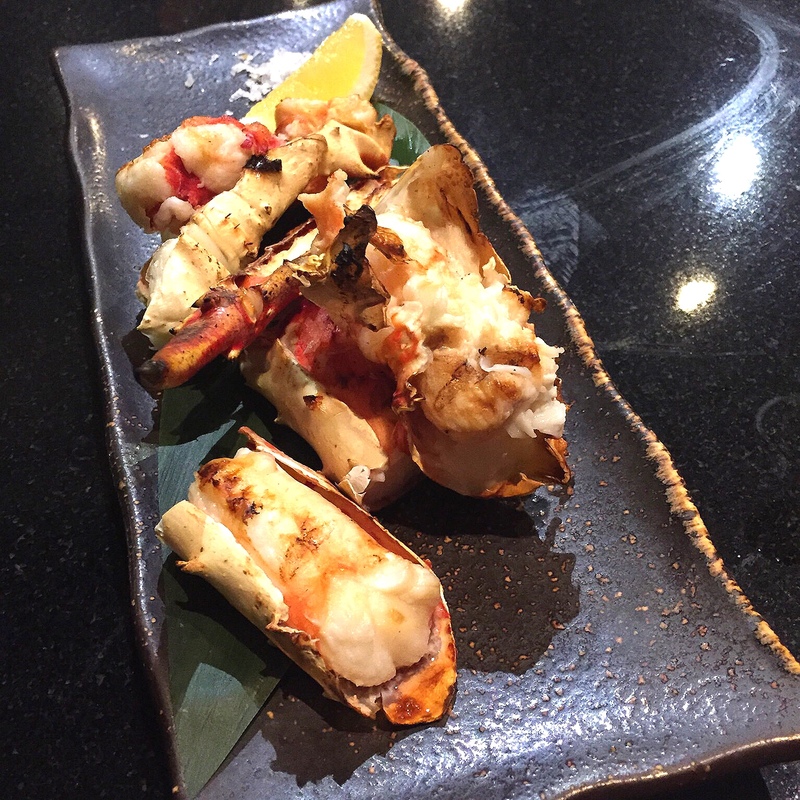 The crabs were succulent and grilled to perfection. I suspected that the crabs were soaked in brine to preserve their freshness and it remained in the flesh. 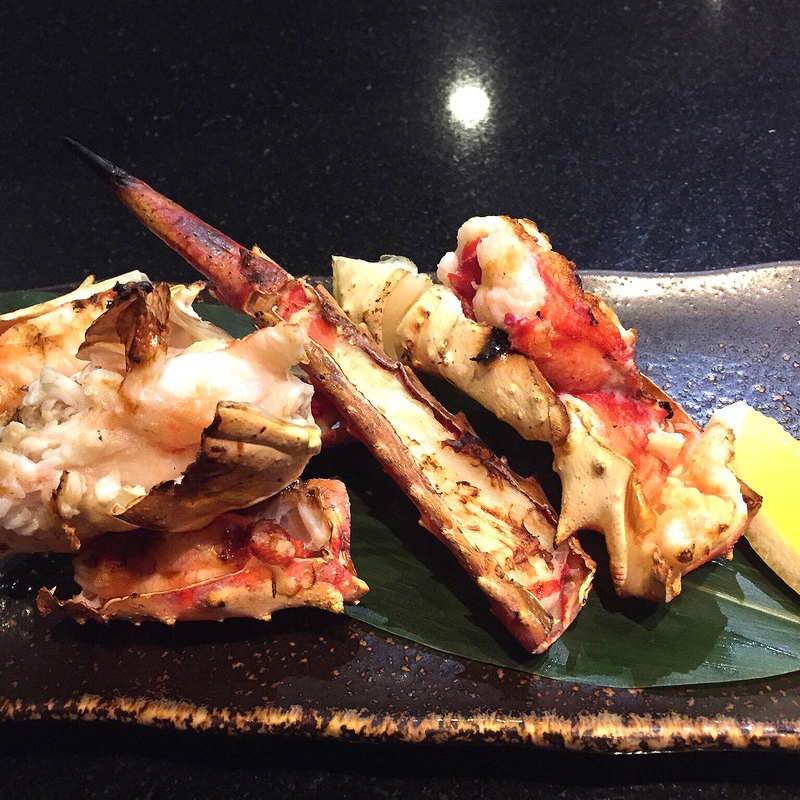 I loved grilled crab, and this was really good at $48 per serving. Mikuni bonsai. Hazelnut mousse, yuzu cream, micro sponge. In short, Nutella with sponge cake crumbs and an old school coffee shop cream. The girls loved it. Me not so much.